Designed with the assistance of the RAF and British Aerospace (under the Crown Copyright Licensing Act), this extensively researched, up-to-date set features both the T.1 and F.2/FGR.4 version of the Typhoon with options for over twelve aircraft from all four front line squadrons. 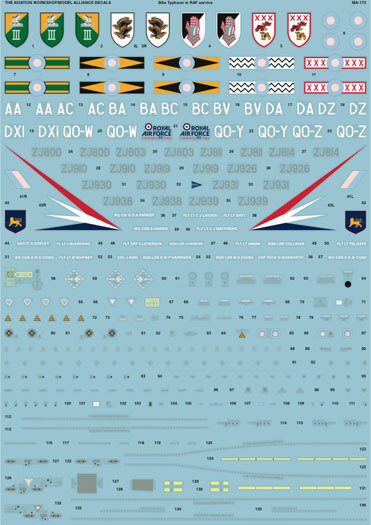 Decals are provided for squadron markings (including erroneous ones applied by the RAF), crew names and a comprehensive and accurate stencil data for one aircraft. More information and a ful review will be available in the coming weeks.